You are currently browsing the Bookmobile News weblog archives for January, 2016. Wow, January brought some challenging weather! We used to think that the magic of the Free Bookmobile mission protected us from inclement weather and assured our events. We seemed to have a very lucky record in missing storms, often by one day. Now we’re realizing that there just wasn’t much rain to dodge in the past several years! Great for giving away books, not so much for the health of the parched California landscape. Now that the water has returned with a vengeance, we want to revisit our rain-out policy and help our patrons understand how we decide whether to cancel any given event. There is no hard formula, our director/driver makes a judgment call based on the forecast, current weather, and the type, length, and condition of the roads that would need to be traveled that day. The rain itself can create hazardous driving conditions, not to mention reduce patron turnout, but wind concerns us even more. That’s because our 24′ Freightliner vehicle is very tall and, unusually, carries weight high up on the side walls (due to the bookshelves!). So even moderate gusts can push the bookmobile around as they catch one of the broad sides of the vehicle. When combined with poor visibility and a slippery road surface full of potholes and flood puddles, it just isn’t worth the risk. Our pledge is to do our best to stay on schedule, and if we need to cancel, to attempt to publicize this as quickly as possible. Notices will go up on both our website schedule page and our Facebook page as soon as one of our staff can get to a computer. The website in particular is the best place to get the latest on our plans in stormy weather — keep it bookmarked and be sure to check it again as close to the time of the event as possible. We’ll also make every attempt to reschedule any missed stops, which we cheerfully accomplished this past month! We have long been committed to public service in the Larkfield area, roughly half-way between the Northwest (Coddingtown) and Windsor library branches. For years we performed this outreach at Larkfield Center, a popular shopping destination, but were often disappointed with low turnouts. Fortunately we got a nice boost a couple of years ago from the efforts of volunteer Virginia Fifield, who works each month to publicize our local appearances, especially to the nearby schools and low-income housing. Thanks, Ginny! 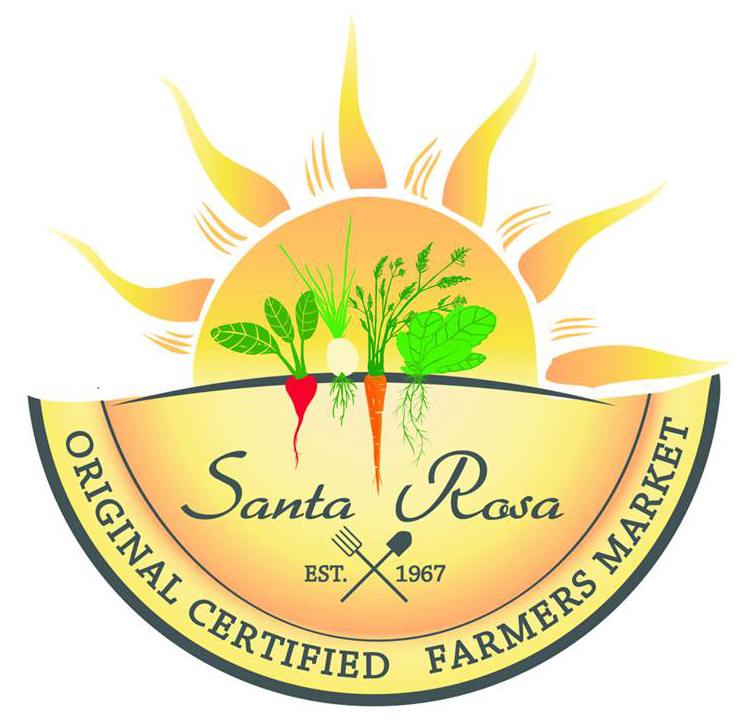 Now we are in partnership with the Santa Rosa Original Certified Farmers Market to appear at the Luther Burbank Center for the Arts. This is a friendly, popular market, and still within easy walking distance from residential areas like Lavell Village. We’re also finding that kids can more easily convince their parents to visit the bookmobile when there’s yummy veggies and other delights available in the same spot! We appreciate the warm welcome we have received thus far and look forward to setting up among the other quality vendors one Saturday each month from 10 Am – 1 Pm (check our website schedule page for details). There is no charge to enter the market and, as always, the books are absolutely free.